I know a tree in a distant garden – I would like to say my neighbours’ garden but having seen their silhouette only once on a winter evening while they walked through the entrance of their home, it was dark and the light coming from the room was dimmed and the frame was rapidly filled with the door, their strangeness removed my self from any sense of familiarity – that grows crimson berries, poisonous carpels only edible by a few birds daring the snow. I presumed they were sparrows but birdwatchers would certainly mock my ignorance of all feathered creatures. I have walked past this garden many times now I’m alone. The shrubs display round fruits clumped on tall branches above the wall. Once a flower, they had become a ball sometimes rolling under my foot, squashed unintentionally the day I peered at the door. Neighbours ought to be more present I thought. It was my aim to make their acquaintance but the door was shut so I stayed still in the cold, concealing my body amongst mosses and bushes and stones. I wanted to recognise their faces, and also wondered why their embrace was hidden from me. 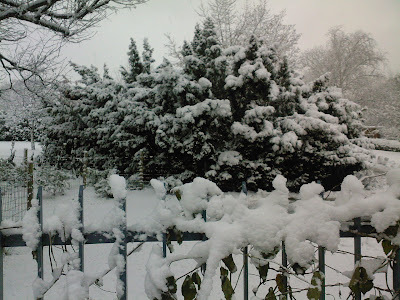 If they owned this distant garden – the nearest to my house on the other side of the heath – perhaps they would want to know who grew persimmons the size of a crow. Perhaps they wondered why I stood behind the gate and chose to observe them rather than walk through the pathway to their door. I felt I could get to know them; make a leap and let the familiar pervade our flesh until we part again when spring has turned away the remoteness of our homes. I must come back another day, before we become inconsonant. And I left for a moment, reaching to tear a berry off the hawthorn. 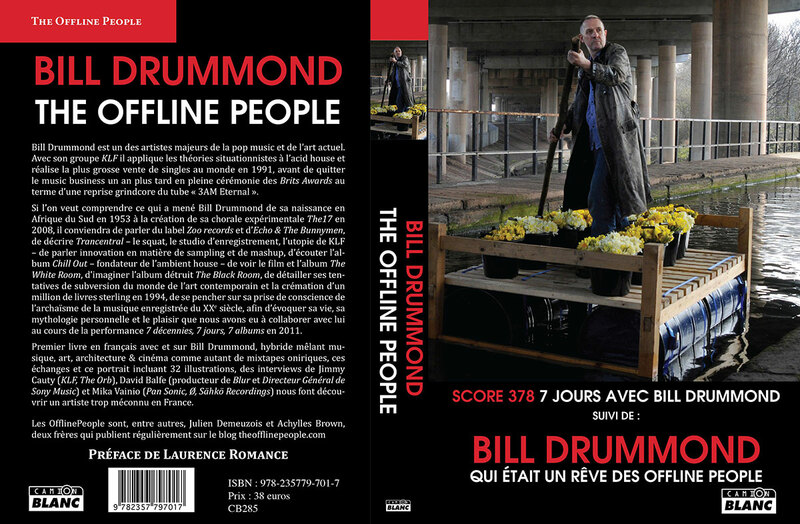 Notre livre "SCORE 378: 7 JOURS AVEC BILL DRUMMOND" est maintenant disponible chez Camion Blanc. mp3's are online for a limited amount of time. Support your favourite artists any way you can (that includes financially). And don't spend too much time on Facebook. T'as pas autre chose pour danser?